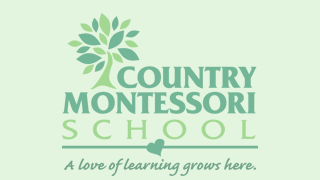 Country Montessori School is dedicated to providing students with exposure to various forms of assessment in order to prepare them for their future. At the end of this month the 2nd through 5th grade students will have the opportunity to take the Otis-Lennon School Ability Test® (OLSAT®). Students participating in the exam will take a practice test the morning of Tuesday, March 29th and the actual test will be given the morning of Wednesday, March 30th . This is a paper-based exam, proctored by your child’s teachers, which lasts approximately forty minutes. Due to the nature of this test, it is timed; however, incorrect answers are not penalized. OLSAT® measures cognitive abilities that relate to a student’s academic success in school. By assessing a student’s verbal, nonverbal, and quantitative ability, OLSAT® supplies educators with valuable information to enhance the insights gained from traditional achievement tests. Please note that this is not an IQ test. OLSAT® is designed to predict a student’s ability to: perceive accurately, recognize and recall what has been perceived, think logically, understand relationships, understand abstracts, apply generalizations to new and different contexts. OLSAT® evaluates a student’s performance on a variety of tasks, including: detecting likenesses and differences, recalling words and numbers, defining words, following directions, classifying, establishing sequence, solving arithmetic problems, and completing analogies. Should your child score 130 or higher, they will receive a letter of recommendation for the Gifted and Talented Education (GATE) program. This letter may be presented to your local public school in order for them to consider your child’s eligibility for such a program. Visit powayusd.com/depts/lss/gate/ for more information. Your child’s test scores will be reported to you first via phone call from your child’s teacher(s), then you will receive official score documents via a sealed envelope in your mailbox. Please ensure that your child attends school March 29th and March 30th if you would like them to participate in OLSAT®. The best way to prepare your child for this exam is to make sure that s/he receives ample sleep and a nutritious breakfast. If you prefer that your child NOT be tested, please return the bottom portion of this letter.